A forgotten spiritual weapon . . . let’s bring it back into action! The word of their testimony. If birds can work together and soar in swarms without a leader controlling their movements; then people can work together and testify together in church, soaring in the Spirit, without a human leader controlling the service! 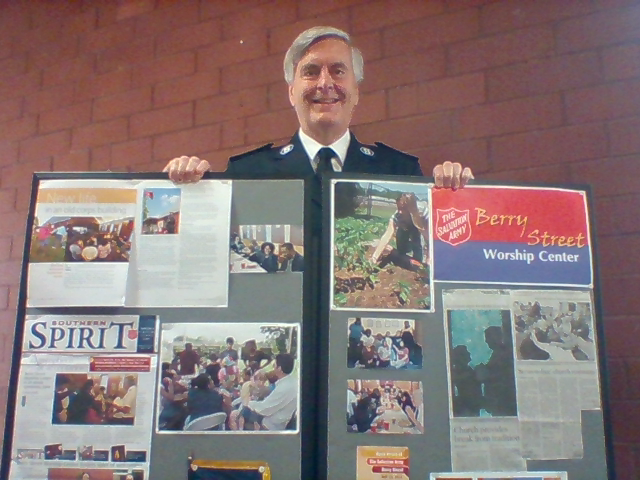 –It happens every Sunday morning at The Salvation Army Berry Street! –“Church services will become more like prayer meetings. One of the greatest indictments on the church today is that prayer is not the driving force. Today, people tend to choose churches based on the appeal of the teaching and the worship instead of the fervency of prayer. If the church was a house of teaching, or a house of worship, that would make sense, but it’s not. The church is a house of prayer for all nations. Every person in the church will function as a burning intercessor and the services will be marked by this unified groan of fiery prayer.” –John Burton predicting the future of the church. Come see this in action @ 225 Berry St., Nashville, TN 372o7 on Sunday mornings @ 10:45. This entry was posted in Berry Street, birds swarming, by the blood of the Lamb, how do birds swarm, John Burton, Nashville, prayer meetings, Revelation 12:11, Salvation Army, spiritual weapons, swarming, they overcame Him, word of their testimony and tagged flowing in the Spirit, Holy Spirit, led by the Spirit, prayer, spiritual leadership, spiritual warfare, testifying, testimonies. Bookmark the permalink.